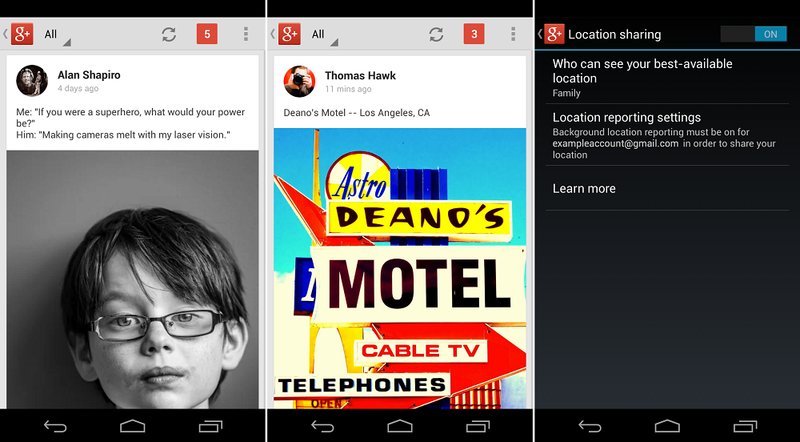 Google is pushing out an update to their Google+ application for both Android and iOS today. While the iOS update is seeing some nifty Snapseed integration, the Android version is getting more of a look refresh. It’s still your normal G+ app, but they have done some tweaks to make the experience a bit more friendly. For example, when looking at your feed pictures are displayed better, there is more text shown from each post, and the +1 button has been moved to be more front and center. We have added a few key points of the update down below. Update: The update is live!